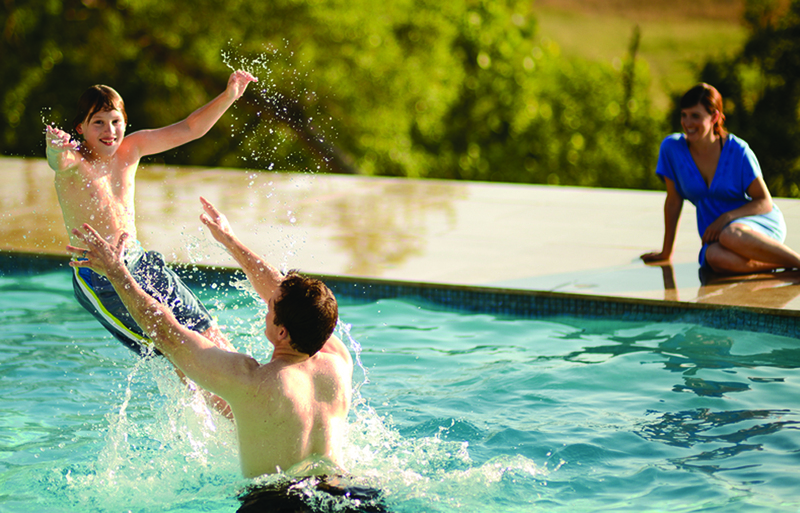 Family Pools North hosts our Above Ground division of Family Pools. Speak to Dave, or one of his associates, to obtain information and see samples of the various above ground pools that we carry. They range from standard to deluxe to a posh, stylish, class-of-their-own structure. Our Family Ties line of above ground pools is our conventional line of above ground pools with rolled out type walls of different composites, sturdy frame structures, and overlap or hung type vinyl liners of your color option. What makes these pools differ from others is that we install them ourselves. You can purchase a package, if you like, and we will give you full instructions as to how to construct the pool yourself or you can hire us to construct it for you. Who would know more about the pool you are purchasing than the installer himself? You are even welcome to come watch another installation if you are considering doing your own and want to see what is really involved. Our Crestwood Pool line is our crème de la crème! This pool is naturally beautiful with its #1 grade pressure treated & kiln dried southern yellow pine walls. Its natural look will compliment any backyard setting. Walls can be left natural or stained to a color of your liking. The pool walls are tied together with PVC coated galvanized steel aircraft cables. The interior is lined with a full 20mil virgin vinyl liner of your color choice. 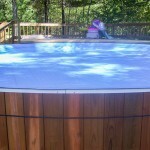 This liner is quite unlike conventional above ground pool liners and captures more of the quality of an inground liner. The walls are foamed to cushion the liner and insulate the pool. The R-Value is 5x higher than other on-ground pools. We find this to be the ultimate on-ground pool and, best of all, it’s made in the USA. Not only is Crestwood’s pool design, structure, and look amazing but it has a unique winter cover system void of all those messy hanging bottles and weights, pillows, cables, and lightweight material that never lasts. 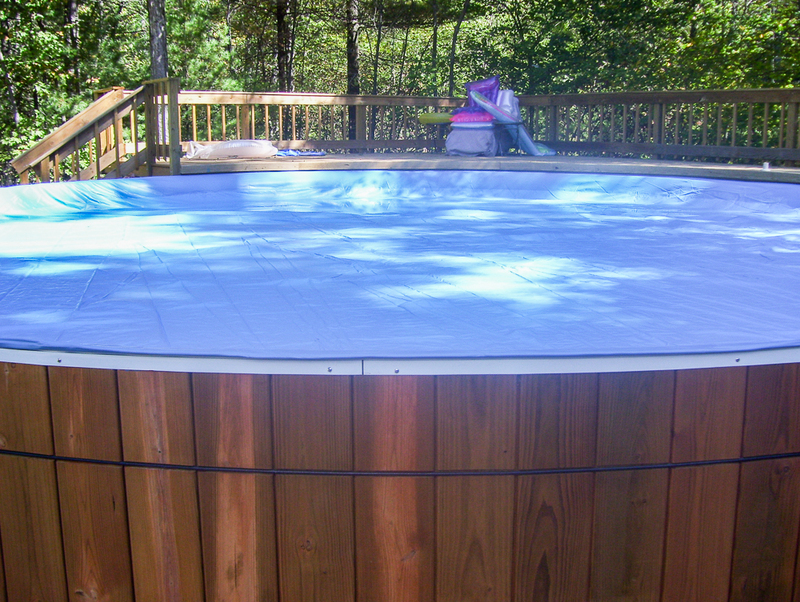 This pool offers a custom fit, solid vinyl winter cover system that fits into its extruded PVC, UV protected coping. Crestwood’s innovative design is so original that it’s protected by US Patent #4974266 and other patents pending worldwide. 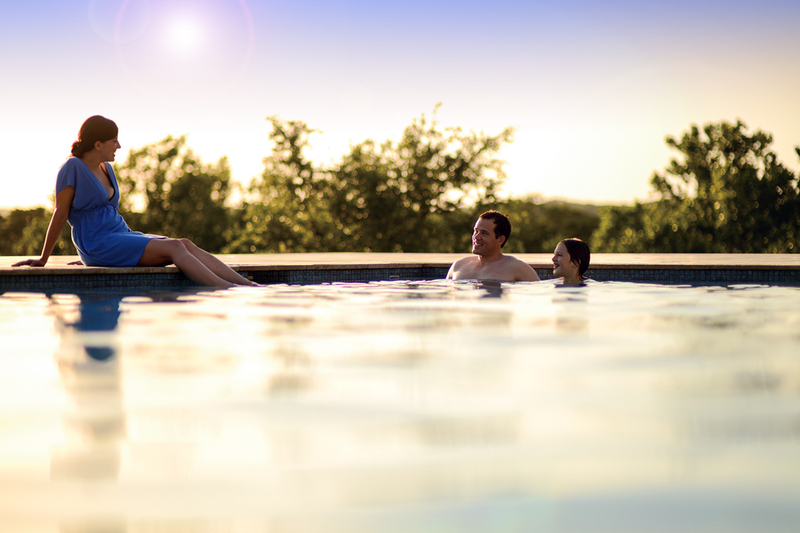 A Crestwood Pool is a worry-free investment to be enjoyed by the entire family. Much like a hardwood floor, this pool brings years of enjoyment and trouble free service…which Crestwood will put in writing! This pool carries an initial 5 year guarantee followed by a 25 year warranty, the most comprehensive in the industry. 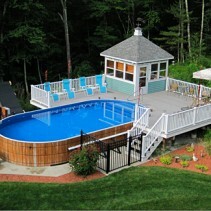 This real wood pool exceeds all standards for strength and durability while offering lasting beauty. Please stop by and see our display. Remember…if you’re happy, we’re happy. That means we are only going to install the best of equipment on your new pool. If you can’t keep your pool clean then you might get mean and we only want happy customers here at Family Pools! Therefore, we won’t recommend a sand filter or undersized cartridge filter to you and then try to upgrade you. Top equipment, automatic vacuum cleaners and automatic chemical feeders…all standard. 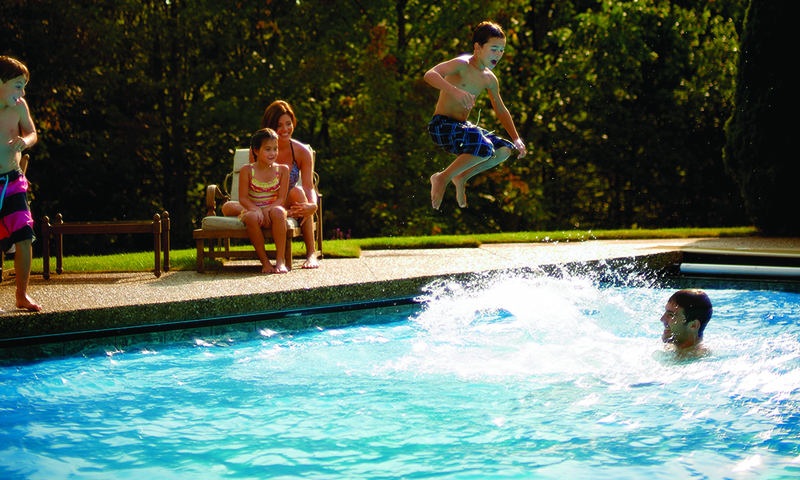 We provide top-notch equipment and chemical programs so your pool experience will be an enjoyable one. In addition to low maintenance equipment and programs, we also offer special features such as pool lighting, hard pool bottoms, walk-in steps, aluminum or wood decking, aluminum, wood, or resin fencing, solar covers, fountains, and a store full of fun items to browse through. If you have any questions or would like more information on sizes and packages, please contact us at 603-642-9909 or click the button below to send us an inquiry. Located at 3 Newton Junction Rd in Kingston, NH. We look forward to speaking with you!